ARLINGTON, VA, 26 MARCH 2015—Time is running out to submit lecture proposals for the NGS 2016 Family History Conference. Speakers and sponsoring organizations must submit their proposals by 1 April 2015. The conference, entitled Exploring the Centuries: Footprints in Time, will be held 4–7 May 2016 in Fort Lauderdale, Florida. The ethnic makeup of Florida is, and always has been, diverse. Native Americans—including Miccosukees, Choctaw, Creek, Timucua, and Calusa—lived throughout the area, which became known as La Florida after the arrival of Ponce de León in 1513. The Spanish were followed by other groups such as the French, British, Irish, German, and Greeks. The importation of African slaves also affected society in Florida as did the formation of the Seminole alliance. All of these people have left many footprints in time and a rich repository of records to trace our ancestry. NGS will consider lectures covering the following topics: Florida history (especially early settlements), records, repositories, ethnic and religious groups, neighboring areas (i.e., the Caribbean, Georgia, Alabama, Mississippi, Louisiana, North Carolina, and South Carolina), and migration to, from, and within Florida. The Society will also consider regional topics of interest, including land and military records, especially those pertaining to the Revolutionary War, Indian wars, Civil War, and World War I. Additionally, proposals may cover broader genealogical categories, including federal records, the law as it relates to genealogy, methodology, genetic genealogy, analysis and problem solving, and technology. Interested individuals and organizations should adhere to NGS guidelines. Speakers may submit up to eight proposals electronically through the NGS website. Organizations wishing to sponsor a lecture or track of lectures should review the details and sponsor requirements. All proposals must be submitted by 1 April 2015. 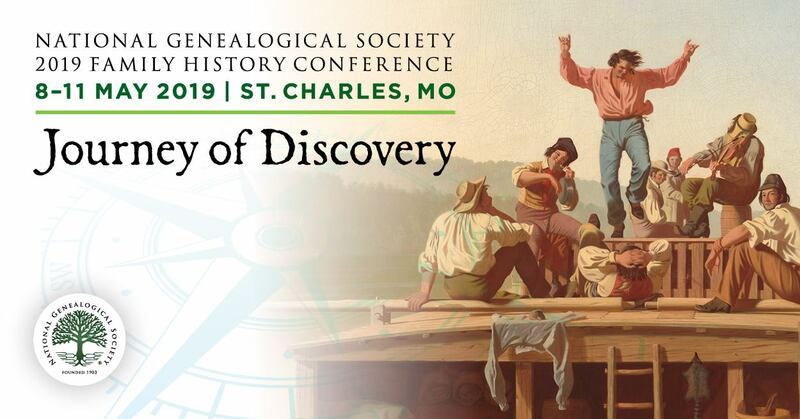 Founded in 1903, the National Genealogical Society is dedicated to genealogical education, exemplary standards of research, and the preservation of genealogical records. The Arlington, Virginia, based nonprofit is the premier national society for everyone, from the beginner to the most advanced family historian, seeking excellence in publications, educational offerings, and guidance in research. It also offers many opportunities to interact with other genealogists. Please visit the NGS Pressroom for further information.